Research Professional is a global database of research grants from over 8,000 sources. Find out more about how to apply at a seminar on 21 March. 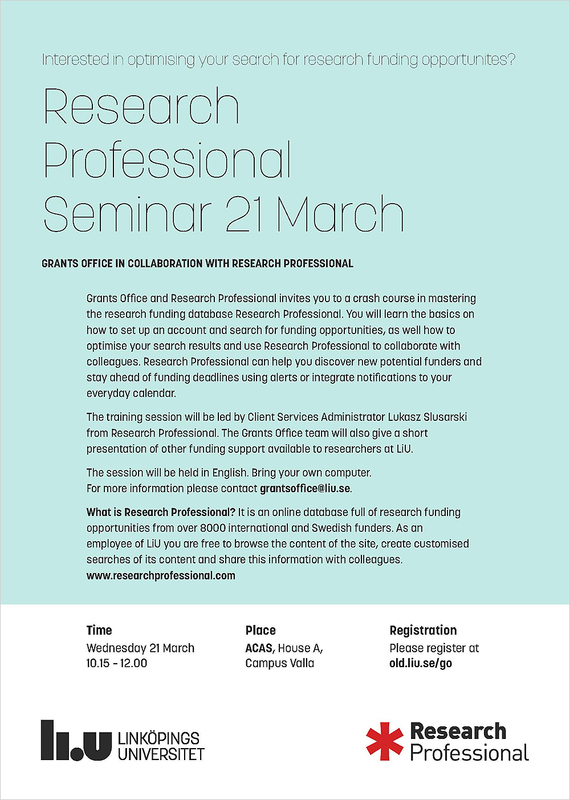 The seminar is a collaboration between Grants Office and Research Professional, and will be held in English. It will deal with all aspects of the database, from the fundamentals of how to apply to efficient search techniques and optimal use of the database. More information is in the invitation, together with an application form (pdf), or click on the photo.